Add Bloom to your existing newsletter to automatically customize each subscriber's experience. By adapting the newsletter to their preferences, you'll improve engagement. We're currently helping publishers reach an average 38.5% unique open rate - that's double the average for the news publishing industry. Get to know your subscribers personally. Embed one of Bloom's subscription forms on your website to automatically collect information about a reader's interests and neighborhood. Their information is sent to your CRM. Our service integrates with most major CRM's so you can build onto your existing subscriber list at MailChimp, SendGrid, or ActiveCampaign. Craft personal emails from accurate data. Bloom treats personalization as an entire experience, not a just a greeting. In your Bloom account, you can easily customize your newsletter's entire layout and algorithm. 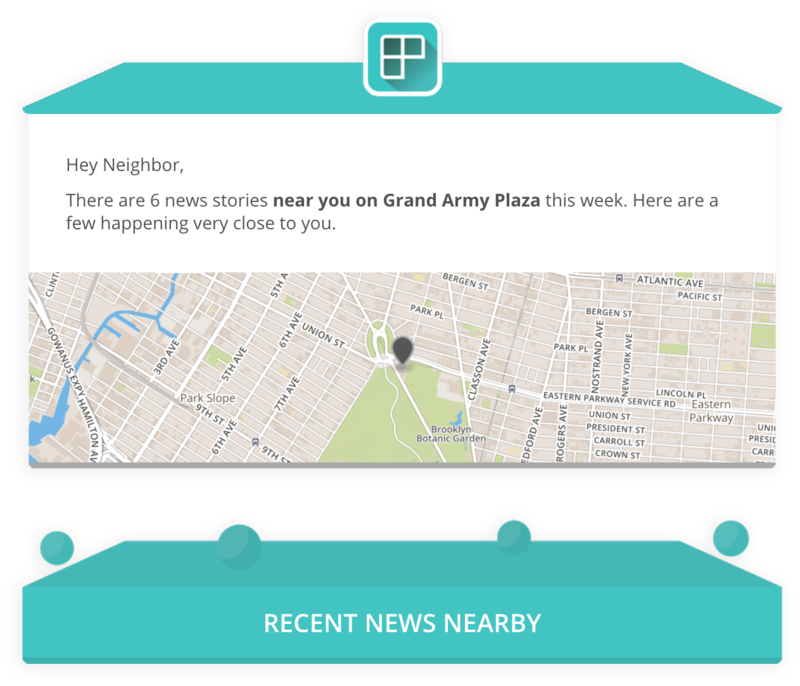 Once your settings are chosen, Bloom automatically prepares emails for each subscriber by matchmaking their preferences with your geotagged news. Send the newsletter just like you're used to. Decide on the schedule for delivery and Bloom will automatically perform the personalization processes and deliver the newsletter to your subscribers using your current CRM. You can preview a personalized email for any of your subscribers at any time. Get engagement insights on a more granular level. Bloom can help you track how subscribers with certain preferences are interacting with your content. That means more insight into subscriber behavior that can help you make better decisions on your personalization settings and the type of content being reported. Since the newsletter is sent with your CRM, you can view the traditional analytics just as you do now - including open rates, click rates, and custom campaign goals. The newsletter consistently achieves an average open rate of about 35%, over 2x the industry average. This newsletter helps Roomeze communicate with their customers after they have signed a lease for an apartment. Subscribers receive a combination of recommendations, events, and news happening near their home, related to Arts and Entertainment. Local news and events are provided by local publishers serving the subscriber's neighborhood. The newsletter was initially set up to curate local brewery events near the subscriber's address. From feedback, the newsletter has pivoted to present local brewery releases nearby the subscriber and further away from them. Currently, it is the only local brewery release newsletter within one of the largest growing areas of breweries in the country.